Just Posted: Hands-on preview and real-world shooting experience with the Nikon 1 system. Launched last month, the Nikon J1 and V1 small-sensor mirrorless cameras have created a lot of discussion among our readers. We've been using both the Nikon J1 and V1 for some time, and ahead of our usual full review treatment we have prepared a brief hands-on preview, preview video and a 3-page article about using the higher-end V1 model. I think that smaller-sensor cameras should cost less than larger-sensor cameras. Entry-level DSLRs are a better value than smaller-sensor mirrorless cameras, offering much more performance bang for the buck. DSLRs are obviously bigger, but mirrorless cameras aren't true pocket cameras, reducing their size advantage. Every time a small-sensor mirrorless camera comes out I'm hoping that the optics prices will go down. I hoped some 28-200 mm 2.8-4.5 equivalent like the one seen on earlier cameras like Pro1 or A200 will emerge. It seems it will never be the case though. This is also ridiculous how companies develop huge grenade launchers to be put on tiny cameras like that. I attended a presentation of this 1 series at the PhotoPlus Expo and it was HUGE, easily took over one third of Nikon's entire stand! There were 3 hot, stylish models posing at all times and tons of elderly men gawking at them, pretending to check out the series. It was pathetic. On a prominent display, the cameras were shown in about 27 different colors, some of them included silly external flashes in yet another set of colors. I felt like I was attending a presentation of a new line of Cover Girl lipsticks. Same problem as SW Anderson below, can't see the video (is private). Repeated attempts here and at Youtube to watch the video resulted in a message, "This video is private." Just got my V1 with the 10mm and 10-30. Played with the 10mm. 2. Motion snapshot is cute but useless. You choose from a small selection of background music. And you really have to think hard about the choice of the final snapshot, because the movie uses the midpoint as that snapshot. 3. Slow-motion movie is very cool but not a daily use for me. 4. Oh and currently Lightroom does not recogize the camera's RAW images. Oops. 5. Smart photo selector. This too is promising. Will see whether it proves to be useful. Between the Sony NEX 5N and the Nikon J1, for photo quality and fastness? Anyone? Pays to spend $300 more instead to go for the G12? again, when photo sharpness is the matter. How come so much negative comments and put downs for such a minor niche market camera? 1. Consumers are going to get angry when manufacturers insult their intelligence. 2. Buyers are smart enough these days to sniff a raw deal. 3. Loyal brand followers are upset the brand they learned to love, admire, follow, support, endorse and be proud of, has LET THEM DOWN on this 1 series. Nikon should immediately REMOVE from their payroll the DESIGNER of this 1 series and replace them with anybody decent enough to work the hard yards and design the camera from their HEARTS and not with their empty minds. There are now a number of reports and samples from actual users. This is a very innovative combo of features ! The AF Servo, high FPS is impressive....and the board DOF allows large margins of error. However, I feel pity for such a good feature to be offered in an overall uncompelling package. Think of it in another way, put the best graphics card in a NETBOOK, will it run the most demanding games smoothly? YES.......Will it offer the best gaming experience? NOWAY! I haven't seen dpreview act as such a shill for a company in quite a while. I wonder how much Nikon pays them for all of these "reviews"? Oh please... if you're going to snipe, at least be original. Any suggestion that we get paid for review/preview content is absurd, not to mention profoundly offensive. I'll buy one and make great images. You will still be complaining about the J1/V1, Nikon and DPR and the gall of people like me for seeing value in the little camera! There has been much to much immature emoting about what it is and what it isn't. But, undeniably it is a camera. Is it not? DPR reviews cameras. Don't they? olympian_dp you should be ashamed of yourself. Read the review and you will see that criticism and praise are there where it is deserved. Can't see any reason for olympian_dp's accusation, in fact, this video has quite a critical undertone. It'll be interesting to watch how Nikon's new in-between-system will make it. By the way: as a Canon-user I'd like to see Canon to go for a mirrorless APS-C-system that competes with Sony's NEX bodys... IMHO that would make much more sense than Nikons new approach as it would make a real use of the big selection of Canon lenses availabl - plus allow for new compact pancake lenses. The V1/J1 deserve respectful attention, if only because they represent a venture into a new design and niche. But I doubt any praise will be enough to make people forget that both are a bit pricey and have a weak mode dial. With the adapter my 70-200 2.8 becomes a 189-540 2.8 .. 10 fps ..! This thing has the potential to be a really great sports camera. 4 years is my guess. The speed is the best thing about this camera. Noise levels are OK too - maybe overprocessed - but better than a compact. But the price, depth of focus/fast prime issue, lenses no smaller than M4/3 put me off. Yeah, but your 50mm lens becomes a 135mm eq. which is difficult/impossible to use indoors. Sports photography is a niche. Does anyone else see thousands of Nikon 1 users backed into the far corners of rooms trying to take something besides a head shot? Seems like the only good thing people have to say about this us that it has a Nikon badge. The most common excuse for this is that Nikon made it sub standard on purpose, so it would not compete with their entry level dslr cameras. Well, I have news for Nikon. Those entry level dslr cameras are as obsolete as their "new" (actually four year old idea) V1 and J1. Most of these companies take a long time to figure out that what enthusiasts really want out of a compact camera is compact fast primes, like Panasonic's m43 20mm 1.7 and 14mm 2.5. We don't want the same big clunky zoom or a blah F3.5/5.6 kit lens. I'm not impressed by the camera's sensor size. With its Nex system, Sony managed to make a similarly-sized camera with the same sensor used by DX DSLRs. APS-C lenses can be compact. I do believe mirrorless is the future of where ALL digital photography is headed. I'll take a wait and see approach before I judge this particular camera. The menus look like a nice change of pace from Sony and Panasonic's. But I can't get over the fact that it will be hampered by a small sensor and clunky slow-aperture lenses. I can't see the point of a camera that small with a lens that large. If the price gets savaged in the stores it might be worth considering but at this price, no. Thank you for your video presentations. You are getting increacingly better with each video. I find them so helpful. Please continue to do more. Not likely. People just have to accept that Nikon has specifically chosen the CX format sensor to be the sensor size that it is, and the CX format lenses are built specifically for this sensor size. I don't see the advantage of a tiny camera with a protruding, non-retractable lens. Seems to have the disadvantages of both form-factors, without the benefits. There are benefits, of course. But they're all cosmetic. Good job, Nikon! At least they could have slapped on 24fps video. It never should be a niche/premium feature and according to Canon, its not. Only 10px for that price!! Come on Nikon! you could done a lot better then that!! I am now waiting for the fuji x10 instead! Resolution is far from being the issue here. What do you do that requires more? This system really falls short of what I expected. Lousy build quality, lack of PASM, horrible low light performance... Like everything Nikon produces other than DSLRs, this really seems like nothing more than an afterthought. I find it really hard to believe this was 4 years in development, seems like something they outsourced to fisher price at the last minute. Both cameras have PASM modes - they're selected from the menu. My bad. I meant PASM dial. I'm not a big fan of in-menu mode selection. It's one of my problems with the NEX cameras as well. It's especially ridiculous on these Nikon cameras too because the dial is there, but only to switch between auto, video and some silly effects mode. Lousy build quality? Eh, you've tested one of these physically over a significant period and had reason to fault the build quality? It will be interesting to see how many people are willing to pay a DSLR price for a larger-sensor snapshot camera. Why on earth Nikon didn't just make a DX format mirrorless is beyond me. They could have kitted them single lens with the 35mm 1.8, 10-24 or 40mm macro, with the same size body as the V1, and made bazillions of dollars in the process. Probably because they wanted to protect the sales of DX format DSLRs. As for kitting them with the 35/1.8, 10-24, or 40mm macro from the DX DSLR system, that wouldn't have worked because DSLR lenses have a different lens registration distance than these new mirrorless systems, which have a much shorter lens registration distance. I agree. If they are trying to protect DX sales, that's ridiculous. It will take the public a long time to leave traditional DSLRs. By then the competition will have established mirrorless systems. My love of Nikon is based on the old FM/FE/F3/F100 film cameras and the great AIS manual focus lenses. This is why I stick with Nikon. When it comes to this new format, the Nikon name means nothing to me. But what is so good about removing the greatest feature from a DSLR, if there is no compensating gain? I mean, lose the optical viewfinder and gain, er, what...? I guess I just don't get how trying to view the moment of photographic creativity through anything other than a decent viewfinder is a step forward. To me the viewfinder is the camera, the rest just gets in the way as little as possible. Point-and-shoot quality at DSLR price. Price is indeed high, but IQ is closer to 4/3 than P&S. 5 years ago, Nikon saw a nice camera and COPIED it. Doesn't interest me at all, whereas the NEX7 does. Clonking great thing, and that smallish sensor whats the attraction, the Nikon logo? The NEX 7 could have been so great with the NEX 5N sensor. Unfortunately, development of the NEX7 sensor was handed over to the marketing department. The one thing that this system have as a strong point is on-sensor PDAF. How long do we expect this feature to be unique? When this trickles down to other Nikons, and sideways to other brands, what happens then? I would have loved to see all Nikons Dxxx DSLRS get a twin lineup, Mxxx . Mirrorless with PDAF and EVF. Reuse all lenses and get good video at a much lower producion cost. And leaving the choice to the customer. I'm sorry, but the two-handed picture with that massive zoom lens says it all. Unless they can make some seriously smaller zooms for this thing, it really falls behind m4/3 too far to be taken seriously. Well, that's from me, there's no telling what the consumer response will be and the lack of controls mark this out as a consumer-oriented product. It seems that Nikon's latest foray into the compact world shares the Coolpix mix of innovative features yet a final package that photographically falls behind the competition. Perhaps the combination of small sensor and fast operation will be just the ticket for the intended audience. But will anyone non-enthusiast be willing to spend so much on a consumer item? It really is a long shot and they ought to sort out the pricing, $500 would be about right, which is where I see it ending up in a couple of months. "I'm sorry, but the two-handed picture with that massive zoom lens says it all. Unless they can make some seriously smaller zooms for this thing, it really falls behind m4/3 too far to be taken seriously". Well, the 30-110VR seems to be very compact -- even more so than the Olympus m43 40-150 equivalent. I think it should be nikon v1/j1 vs pentax Q.. I remember Mick Jagger once answered about the his 20 years playing with the Rolling Stones, "Yeah, its was great — 5 years of hard work and 15 years of fooling around". 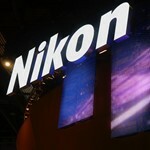 "According to Nikon, the 1 system has been four years in the making. Tracking back, this means that Nikon started work on its new mirrorless system in mid-2007 - about a year before Panasonic launched the pioneering Micro Four-Thirds system with the Lumix DMC-G1." Now I understand why Nikon didn't just make a micro four thirds camera. Micro four thirds didn't exist when they were choosing the specs for this thing. Maybe Nikon will eventually launch a micro four thirds camera. Hope it does not take them four years. If Nikon could just release a camera phone then they would have all the imaging markets covered. Called the 0.01 System, it would have nano-coated prime & zoom lenses the size of your thumb, VR3 (a necessity), and a pop-up Boba Fett flash like the J1. Can't wait! I don't think we'll ever see an m4/3 compatible camera from any of the big brands (Nikon, Canon etc. ), can you imagine such large companies using a competitor's lens mount? 4/3 is a standard, not a competitor. If they think their lenses are any good they would make some with a 4/3 mount. If the market thinks they are any good they would sell like hot cakes. There is nothing stopping them, IF they are competitive. Panasonic/Leica and Olympus already make some good lenses for 4/3. At this price I would opt for an APS-C sensor. If I want to use APS-sized lenses, I'll use one of my DSLRs. If you want APS-sized lenses, you can also use the new Nikon 10-100. Just buy a Canon G12 for 1/3 the price... at least it will fit in a big pocket! If it WAS 1/3 the price. In the UK its 2/3 the price of a J1 kit. So, the G12 actually costs 80% of a J1 / 10-30VR combo. Can you fit *all* Nikon lenses without AF/VR limitations on the G12? No, I don't think so. It seems you have missed one great advantage of this new camera, which is the possibility to use *ANY* AF-S Nikkor lens with it, while with the G12 you are stuck to that single zoom lens. Also compared to the G12 with its pea size sensor, this camera has a huge sensor... The Nikon 1 system is much better than the Canon G series in every aspect except price and size. "It seems you have missed one great advantage of this new camera, which is the possibility to use *ANY* AF-S Nikkor lens with it ..."
(1) You can use *ANY* AF-S Nikkor lens on a Nikon DSLR. (2) You can put G12 in a big pocket while you cannot put V1/J1 with the zoom lens in a pocket. This would be an interesting, albeit expensive, camera if not for the micro 4/3 cameras and other mirrorless systems. Also, the zoom lens dominates, making the camera look awkward. DPR... I'm sure the YouTube video is very interesting once one can actually hear it! Seriously guys, what's with your videos recently, all have horrid sounds. Can you invest in a proper mic? Many posts are complaining about your videos and it's time to listen to your readers/viewers, no? We definitely hear you and are addressing the issue. @Dannyboy292, it seems to only be affecting some people, and as Scott has already said, we're actively trying to fix it. Picked one up in the Nikon showroom in Shinjuku and it is a surprisingly heavy and a beauifully made camera. Not the camera for me but for those it suits they will be getting a very nice little device.Don't lose it in your bag though. I'm a m43 user and where this camera fails for me is price point. I do think some of the features are interesting and the image quality is "good enough" for me (and I'm sure most of us, except, well, pixel-peeping is the life blood of this forum). I also like the idea of a very small sensor camera with interchangeable lenses, because of the advantages for telephoto. But this camera is waaaaaaaaaaaaaaaaaaaaaay too high priced, especially considering all of the excellent dslrs in the used camera market. And if it is for non-enthusiasts, then why are they trying to sell it with a couple of esoteric features that even the majority of enthusiasts care little about? If it were a $300 or $400 camera, maybe. The Oly XZ-1 costs $500. I'm not sure why you think the J1 should be priced $200 below a point and shoot. You can also pick up a Nex 5 now for $500... Much bigger sensor. The Nikon is way over priced. This camera is obviously not aimed at Olympus or other system users. Its obvious advantages, apart from the built in features, can only be used if you already have a few Nikon lenses or aim to use it as a "digital TC", for which it is excellent. The camera works without AF/VR limitations with any AF-S lens, so as a system, it is indeed very interesting for some people, much more interesting than MFT or NEX is... but it is a very ugly design. For that price I think Nikon should have made a better, much nicer and modern design. "If it were a $300 or $400 camera, maybe". So, you think the pricetag of a Canon Powershot S95 -- $350 at B&H -- is a reasonable price level for the Nikon 1 too? It depends on your needs. I have 4 Nikon legacy lenses, two 50mm 1.8s, one autofocus, one not, and the 100 2.5 and the 180 2.8, both manual focus. Personally, I'm not rushing out to the store to buy a Nikon V1 at $900 or $1,000 or whatever it is. However, I don't think it is fair to bash this camera based on IQ alone. I'm sure this camera will print very well at A2 size. I've wanted a Nikon camera for a while, but this is not it. If I had $1,000 to shell out for this camera, I would probably put it towards a full-frame Nikon, like the D700. I think there is a danger of missing the point here. Nikon has introduced a new and competent system. To me it means a different perspective to photography and is welcome. Some people will find it useful others will not, or just think so. Had Nikon produced another equivalent mirrorless, it would have meant nothing to me. My main system is and will remain DSLR based (FX and DX). But I also use film SLR, a u4/3 system, an ultrazoom and occasionally I borrow a pocket quality camera from my daughter. All have their space depending on the situation. Hmm, maybe you missed the point. What does the Nikon bring new to the table? Mostly nothing at all. Existing products offer superior sensors, have a form factor just as small, and a re priced far cheaper. This cameras is till not pocketable so again I fail to see it's worth. They should have just joined the m4/3 group, or at least have the sense to cut the price in half. It's a product for a products sake. I think it's you who are missing the point. Nikon started developing this system 4 years ago, before m4/3 was introduced. Nikon simply took too long to introduce this camera system. They missed the mark. Other mirrorless systems that are equal in size but use much larger sensors beat Nikon's system to the market, leaving Nikon's system behind. Advancements in mirrorless AF technology and specs will continue to advance throughout the industry, but the Nikon 1 system will always be stuck with that tiny sensor. Nope, pretty sure thx1138 hit the point pretty well and T3 seems to be telling him that his point ("This introduces nothing new") is not valid and then telling him ("Nikon took too long") it's completely valid. Unfortunately I foresee every Nikon fanboy salesman pushing this inferior product and the unknowing masses gobbling it up because of the logo on the camera. I use already and appreciate a u4/3 mirrorless system. Infact I love it as is great fun. But on my experience it cannot replace a DSLR system in 85% of cases. It is instead a very useful complement to it. A DX mirrorless system complements it less well for me, which is why I chosen the u4/3. This new Nikon allows even more crop factor to explore, it has a good EVF (so it seems) which I may hate less than others I tried. It is fast with a fast AF. Long lenses can be made small. From What I have seen on the web, noise, colours and details already exceed the real life requirements. Price is always an issue of course but also a moving target, as it is technology performance. Lenses should and could be cheaper as well. The point is that there is a new CX system to look at, not just another camera with some small improvement on ISO latitude. All I want is a pocketable mirrorless, with a perfectly balanced feel, the IQ and bokeh of a FF SLR, a pancake 24-210 zoom, 12 fps stills, 1920 x 1080 60 fps video, a superior EVF and zero lag-time shutter for less than $600. In short, everything. Why is that so hard? And when you get done building that, I’ll have a brand new request list for next year’s model. Don’t disappoint me. Got it, will forward on to Santa. One question though - why do you want to slow the stills rate down so much? Well, the first manufacturer that comes out with this baby will get my cash and, pretty much, wipe the floor clean with everyone else's. Unfortunately, it's about as likely to happen as Santa Claus coming down the chimney with it. Nikon has filled a yawning gap in the sensor-size bestiary, but the pricing isn't consistent with the technical positioning or the users apparently targeted by Nikon for the System 1. Nikon needs to correct this mismatch if the system is to be successful. magnumgf, the problem is that there aren't going to be enough of those fanatical Nikonians to support this camera. And it's one thing for a Nikonian to say they want it, but it's another thing for them to actually plunk down the money to buy it. A point and shoot with no flash (The V1)??? Who exactly do Nikon expect will buy that thing? Serious photographers? No, sensor size smaller than similarly sized cameras made by other manufacturers and the lenses don't seem to be very good. (See samples posted earlier, top of Martini bottle). People looking for a camera for holiday snaps? No, you can get cameras that are a lot cheaper and better suited to that purpose. Cameras that have an integral flash and are a lot more compact. The only people I can imagine buying this are this are those who want a Nikon badge and could care less about anything else. How about an Asian market of about 4 billion potential customers. They are going to take one look at it, ask why it costs more than X, Y and Z and when they don´t get an explanation that makes sense they will buy X Y and Z.
I don´t know about Asia as a whole but I have some insight into the Japanese market. To the Japanese Nikon is nothing special. There is much more awareness of brands such as Sony and Panasonic. Maaku, you know what else is "gold" in Asia? Money. 4 billion "potential customers" aren't going to toss their money at the 1 system just because it says Nikon on it. In fact, outside of their DSLRs, Nikon is actually pretty week in their other camera products, even in Asia. So while the Nikon name might be "gold" when it comes to SLR's, it doesn't necessarily mean "gold" when it comes to their other camera products. Im looking for a small mirrorless system to compliment my D7000. so I have looked carefully at all that are available. I had a chance to play with the J1, It's really a very nice little camera. It's small, , equal in size to the NEX5 and the Pens. The lenses are small and very well made. I don't know why DP's testing the 10-100. the kit lenses are very small. It's very well made, the controls are solid and you get the impression that it will last..It's really fast, the focus is excellent , and 10 fps is cool in a mirrorless camera, you get instant feedback, I'm anxious to try the V1 with the EVF. As far as IQ there are dozens of sites that have samples and it's the equal of 4/3's . They will be very successful . Sure , they're probably $150 overpriced but so what..? So you would pay $150 for a Nikon badge and an entry ticket to an inferior (smaller sensor) system? magnumgf, it's smaller sensor with the same IQ as M4/3 but PDAF AF tracking (in good lights), 10 fps with AF, 60 fps with fixed focus. Don't play idiot. One may remind a few people how much MFT cost when first released. As with all first releases the price is high, but sales will start before xmas and it will reach its level soon enough. Had a chance to play with a J1 yesterday and the AF is very impressive. Build quality is very impressive too, including the lenses. Nikon just need to market this thing right. However I think they should include a free mini-flash with the V1. So how many is really considering of buying either one of these, with the current price? make the J1 with 10-30 - $499 and the V1 with 10-30 $599.. maybe.. I need a viewfinder and an integral flash. Neither of those cameras has both. I also want to get the biggest sensor I can get for the price and size of the camera. For some reason Nikon has made a camera costs more than most other mirrorless offerings, is the same size but has a smaller sensor... Now, why did they do that, and why would I want one? Oh, yes, because it has a Nikon badge on it! But the Nikon 1 have the fastest autofocus on the market. You will need to spend 5000$ on a D3s to get similar speed. Its why I'm considering buying this camera. And the fact you can take pictures when you film is another good reason too. Maaku, regarding the added cost of an EVF for the other mirrorless systems, you're forgetting that the additional EVF is a one-time purchase that can be transferred to other cameras as you upgrade bodies. Plus, the add-on EVF's can be tilted for variable-angle viewing. Also consider that an Oly E-PM1 kit ($499) with VF-3 viewfinder ($179) is /much/ less expensive than a V1. And as I mentioned earlier, that VF-3 is a one-time purchase that can be transferred to other Oly Pen bodies. Plus, you get a much larger sensor, and a much larger selection of lenses. As far as we can tell, not everyone is having this problem, so it's a little hard for us to diagnose. We'll keep trying to pin it down, though. It sounds like he's talking down a tube to me. Barely hear him. Firefox on OSX. It sounds like the signal is completely out of phase between left and right channel. Very, very obvious problem. Not the first dpr video with this problem either. Opera on OS X. Same sound problem on Win7 Firefox. the sound levels are lower than average with my Mac. You nailed it Johan Borg! I went to my sound panel and as I turn the balance to left or right, the volume increases to an almost acceptable level on my monospeaker laptop. The audio is out of phase. You will need to phase reverse one of the audio tracks. Ok, we couldn't experience the problem until we tried listening back on system with a single speaker. It should be fixed in the next video. Sorry about that. looks like the lens initialy was designed for m43. "Ohhh Sony E-mount lenses are bigger because they cover an APS-C sensor size with a small registration distance"
"Yeah, m4/3 got the task easy to make smaller lenses due to reduced sensor area so it's an advantage here and it's very convenient.."
But.. what's the reason for the size on those Nikon 1 lenses? I hoped for a further smaller package compared to other mirrorless...And that price...WOW. It's just insane. yep-- lenses too big! as big as MFT or bigger? In this Photokina interview - the second of two with Dirk Jasper, Nikon's Product Manager for Professional Products and Product Planning - we spoke to Dirk about the development of the Nikon 1 System, as it marks its first anniversary, and the challenges of creating a hybrid 'connected camera'. In this interview, Dirk explains why the Android-powered Coolpix S800c is a more serious compact that Samsung's Galaxy Camera and how despite the fact that it was never meant to be a 'professional' system, the Nikon 1 became number one in Europe. 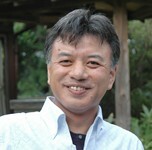 Nikon plans to develop 'brighter lenses for better total performance' from its 1 system, says Tetsuya Yamamoto, General Manager of Nikon’s Development Headquarters, Imaging Division. In an interview at this year’s International CES show in Las Vegas, he talked to us about some of the functions the company hopes to enhance on future models and offered some surprising news about the CX sensor's video capabilities. Nikon was a large presence at CES and although they had no product announcements tied to the show, this was a first opportunity for many to see and hold the company's yet-to-be released flagship D4. The Nikon V1 is the more enthusiast-oriented of two cameras in Nikon's brand new 1-system. Reviews Editor Barnaby Britton has been using the Nikon V1 since it arrived in the dpreview office and shares some initial impressions ahead of a full review.